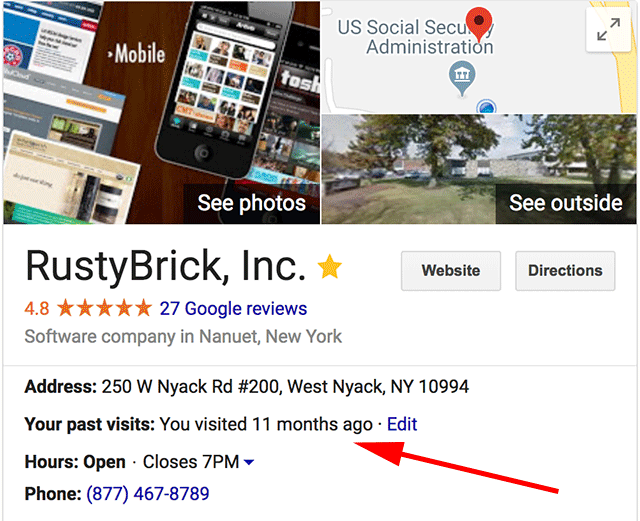 Google Local Panel Shows "Your Past Visits"
Home > Google News > Google Maps > Google Local Panel Adds "Your Past Visits"
Google Local Panel Adds "Your Past Visits"
Remember when I reported the past visits filter in local search? Where you can filter your local searches to see only places you visited or exclude places you visited already? Well now, Google is showing you "your past visits" on a local knowledge panel, if you visited the place. Here is an example of my office, which I go to almost every single day - and it shows the last time I visited my office was 11 months ago, which is obviously incorrect since I am writing this story from my office. 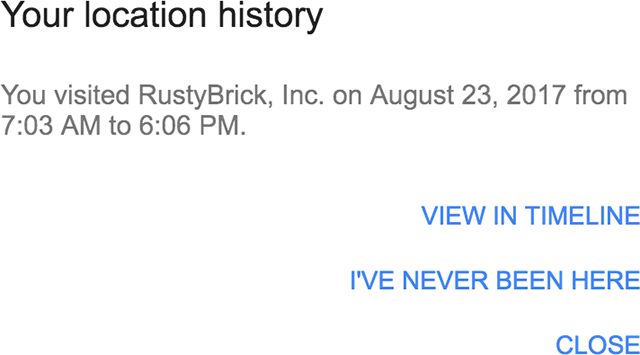 Google does let you correct it by clicking "edit" that will bring up this dialog asking you to "view in timeline," "i've never been here" or "close." There is no option to say, "I am here all the time, what is wrong with you Google?" Hat tip to @TheSocialDude for spotting this.